Doug Martin reverted to rookie form during his impressive 2015 season. 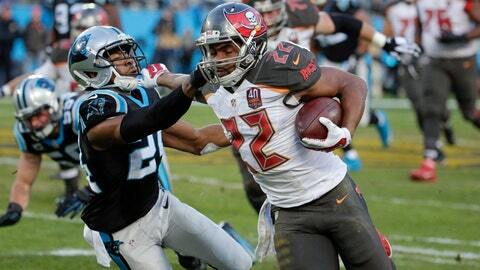 Thanks to a stellar 2015 campaign, Tampa Bay Buccaneers running back Doug Martin has proven that he’s back to his old self. While he rushed for over 1,400 yards, what he did after contact may even impress you more. That’s a pretty exceptional number, and just shows the combination of power and speed that Martin is capable of running with. The "Dougernaut" is back to playing elite football, but the question is, will he be back and playing in Tampa Bay again in 2016 and beyond? Fans are hoping so.